Welcome to the Wonderland of Kids Games. "Smile As You See Your Children Playing & Having Fun!" If you are looking for some free wonderful ideas for Indoor & Outdoor kids games, then you are Bang on Target! Let me put you in a routine situation…. Does the following voice sounds familiar to you? "Peter….look what have you done?" "Why are you jumping on the sofa?" "Now...where have you kept my mobile phone?" "Peter… instead of frittering away your time, why don’t you do something creative?" "But mom! What should I do? You tell me…"
Yes, I know you face this kind of situation every now and then in your daily routine life. Sometimes you have an idea but most of the time you don’t. Either your kid’s games idea is too worn out for your child to pay heed to, or your Peter is not at all interested in it. We had also encountered such scenarios everyday when our son Pratham, by virtue of his age, had tons of energy and wealth of time but found little avenues to spend it. Now, let’s imagine another scene, Peter is back from school one day and narrates you the story about his school’s trip to the local Baseball stadium where the junior team’s coach briefed them the importance of such team building games and strategy making for winning. Peter is up and jumping with the anticipation of understanding more about these magic terms. You also know the importance of these aspects in life and you also want your child to learn this in a fun way. Am I Right? Similarly, there are various occasions like: Christmas party, Summer Vacations, Family gatherings, Camping, Easter, Halloween etc. when we feel the need of having our kids engaged into some productive and creative indoor/ outdoor activities rather than just punching keys on their Video Games & Computer Games. I am also a parent like you. I want my son Pratham to really live the childhood the way it should be lived ideally, i.e. 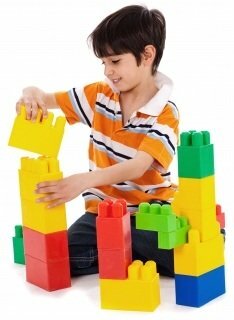 with a perfect balance of fun, play and learning. Keeping this vision in mind I have been doing lot of research online and offline and found many jewels of Kids Games Ideas that will not only make our kids have fun and grow, but also do this in a healthier and balanced way. So, if you also share the same vision and dream like mine then, come and join me in this amazing voyage of fabulous kids Games Ideas…. Relish the joy of pampering your kids with these wonderful kid’s party games ideas & make their Christmas, Halloween, Easter & Birthday party memorable! 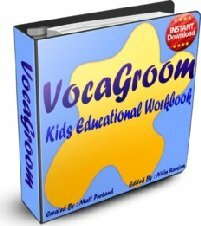 Kids Computer Games recommendations & reviews especially handpicked for kids of all age groups. Recommendations & reviews of handpicked Wii, Xbox 360 & PlayStation kids video games. Explore many educational, fun & family friendly video games for your child. Check out the recommendations and reviews of the best Car games for kids available in the marketplace. Check out the awesome collection of fun kids games ideas with recommendations and reviews of kids card games, puzzle games and board games etc. Witty, interesting and fun math games for kids. Check out some quick to make and easy to play games that kids can enjoy alone or with a friend. A wonderful collection of interactive learning & educational games for kids like Money games, Science games & Math games etc. Check out the best Disney kids games here. Get recommendations & reviews of top Disney video games, board games & other stuff that your kids will love. Check out the best Nickelodeon kids games here. Get recommendations & reviews of top Nickelodeon video games, board games & other stuff that your kids will love. If you are searching for kids games videos, trailers, recommendations & reviews that are suitable for your children. Check this out!